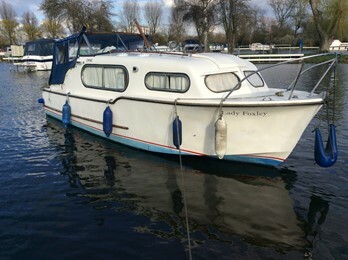 Freeman 22 mk2, "Lady Foxley"
This is a very well presented and popular family rivercraft from the Freeman stable. A reconditioned engine was fitted by the owner in 2011. 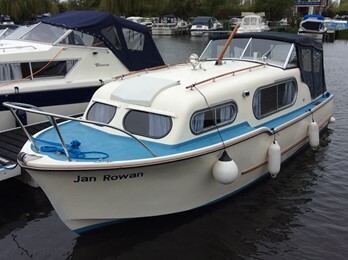 Freeman 22 mk2, "Jan Rowan"
This is a tidy well presented Freeman 22 which has had exterior varnish work refinished. 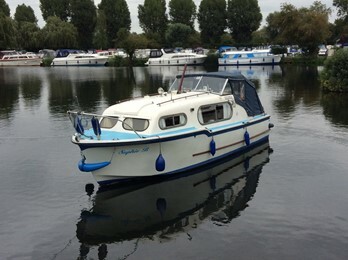 Freeman 22 mk2, "Just Us"
Freeman 22 mk2, "Sophie B"
This is a tidy well presented Freeman 22. The craft has been polished, antifouled and exterior varnish work refinished. 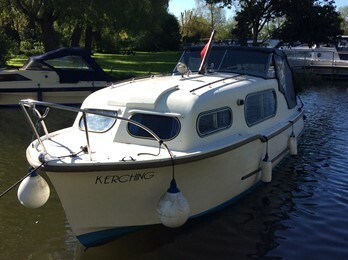 The 22 mk 2 version had a leel superstructure throughout but with a stepped side deck. 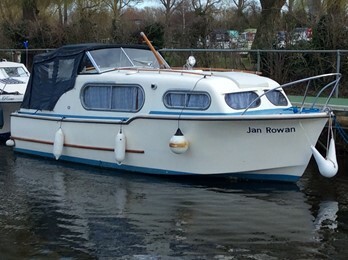 The shallow v long keel designed hull fabricated in GRP foam sandwich was a development from the MK 1 versions. The 4 berth configuration matched the interior design of the Mk 1 . A 610 version was made for canal use. Production run 1964 to 1970. Narrow beam versions were produced 1970 to 1976.Engines fitted were usually Ford Watermota petrols with conventional shaft drive. Approx 1500 mk2s were built.